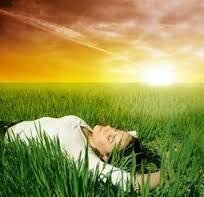 A night of good sleep is essential for maintaining high quality of life. The body uses the sleeping hours to repair itself, which is crucial for a strong immune system. Not getting enough sleep can leave us feeling sluggish and tired which leads to decreased mental clarity the next day. We all experience some sleepless nights here and there, but when the symptoms of tiredness begin to manifest in our relationships, job performance, and personal hygiene it becomes a problem that needs to be corrected. This article will explore some of the ways you can improve the quality of your sleep. It is important to explain the function of two hormones that work to regulate the body’s circadian rhythm so that you can better understand how certain daily activities impact your sleeping hours. Cortisol is a steroid hormone secreted by the adrenal gland that sits on top of each kidney. It is a primary stress hormone that produces a wide range of responses in the body such as increasing blood glucose and activating the fight or flight response. In a healthy body, cortisol levels are at their peak in the early morning and are responsible for the alertness one experiences upon awakening. 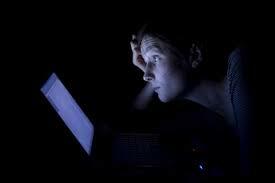 Throughout the day, cortisol levels begin to taper, reaching its lowest level around the midnight hour. If your cortisol levels continue to remain high, you may wake up frequently throughout the night. Melatonin is the second hormone we need to address. Located in the brain, the pineal gland is responsible for the secretion of melatonin. The concentration of melatonin begins to rise in the late evening and night hours with the highest levels occurring between midnight and 8 AM. The amount of melatonin then begins to drop to allow the body to be awake during daylight hours. Without the proper levels of melatonin, the body cannot maintain the normal circadian rhythm. As we age our bodies begin to produce less of the hormone. If you have trouble falling asleep, it is possible that insufficient melatonin could be the culprit. Cutting back on caffeine may help significantly with falling and staying asleep. Consuming caffeine throughout the day keeps cortisol levels higher than they need to be which, as explained above, makes it hard for you to sleep well. If you absolutely love a morning cup of coffee try not to drink it so fast. You may realize that you need to consume less coffee than you think in order to feel alert. Caffeine also lurks in other places like sodas, teas, and chocolate candies. Slowly work on reducing your intake of these items to make sure you are not unintentionally overloading yourself with caffeine. Refined sugar is another consumable to keep track of. Ingesting too much causes blood sugar to rise, which forces the body to release hormones such as insulin to remove sugar from the blood stream and others that are involved in digestion. These hormones can cause you to wake up during the night as their levels fluctuate. Try to eat less sugar as the day progresses to keep your blood sugar levels from spiking. It is important to stay hydrated but if you find yourself making midnight trips to the bathroom you may need to limit how much you drink in the evening hours. Unfortunately, some medications can cause you to need the restroom more frequently, even at night. This may be something to discuss with your doctor if it is severely impacting your sleep. Alcohol can also worsen your sleep. Initially alcohol does have a sleep inducing effect, but as the body metabolizes it sleep can become lighter. Frequent awakening is a common side effect of consuming alcohol. It is also important to note that many alcoholic beverages are made with sugary, caffeinated mixers. Those alone can worsen your sleep and combining them with alcohol makes it even harder to get a good night of sleep. You may want to adopt a new habit of limiting your use of electronics as it gets closer to your bedtime. The light produced by smart phones, Ipads, computers, etc. is registered by the brain as daylight and throws off the circadian rhythm. Try reading a physical book at night to calm your mind and keep you from using your smart phone to kill boredom. If you need to stay up late to work at night, it has been suggested that glasses with an orange tinted lens can neutralize the effect of the bright light, allowing your body to stay in sync with its natural sleep cycle. These glasses can be purchased in a variety of styles on amazon.com. There are lots of affordable and easy therapeutic practices to adopt that may also lead to improved sleep quality. Taking a bath before bed may promote relaxation and allow you to fall asleep with ease. Herbal teas also have a relaxing effect on the body and can be had later at night as long as they do not contain caffeine. Sleep masks or blackout curtains may help those who are very sensitive to light. Music therapy has also been shown to help induce sleep for some. It is also important to make sure that you are physically comfortable in your sleep environment. Investing in a mattress or pillows can be well worth the expense if you wake up feeling refreshed rather than over-tired. Sometimes too many wall hangings or busy bedroom décor can be distracting and keep you up at night. Try to create a calming environment that lets your mind relax if you feel this may be your problem. Sleep inducing supplements such as valerian root, melatonin, and ginseng can be purchased at local vitamin and grocery stores. If the above non-pharmacological interventions do not work for you, try discussing the use of supplements with your doctor. Although these supplements are natural, they can still interact with other medications you may be taking so we advise against starting these without supervision. A physician can also order salivary cortisol and melatonin levels to help determine if that could be the root of your sleepless nights. There are also medications that can be prescribed to induce sleep, but we highly encourage you to explore the above methods first and foremost. I hope that this article provided you with a good understanding of not only some of the science that influences sleep, but also some practices you can implement to help improve the quality of your sleep. Please leave us a comment if you try any of our suggestions and let us know how they worked for you!